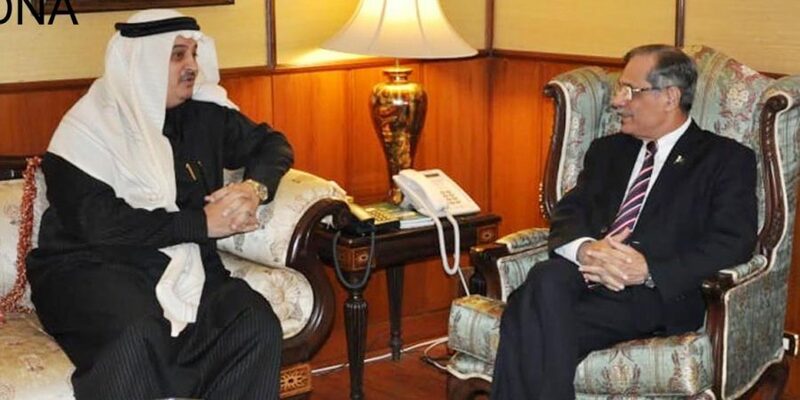 ISLAMABAD, DEC 07 (DNA) – Saudi Ambassador Nawaf bin Said Al-Malki called on Chief Justice Mian Saqib Nisar in Islamabad on Friday. He briefed the Chief Justice about bilateral relationship between Pakistan and Saudi Arabia. The Saudi Ambassador said both countries have common traditions and culture and share many similarities. The Ambassador expressed his good wishes for Chief Justice of Pakistan.